One of Gilbert and Sullivan's best known operettas, H.M.S. Pinafore (The Lass that Loved a Sailor) tells the tale of the captain of a ship of Her Majesty's fleet, his daughter, the man she loves, and the man the captain wants her to marry. Singing, dancing, and hilarity ensue! 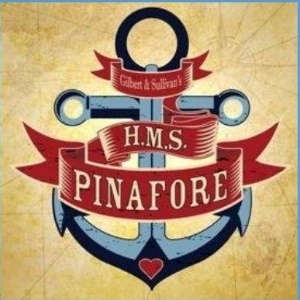 The West Michigan Savoyards return with their annual foray into farcical musical theatre with Gilbert & Sullivan’s H.M.S Pinafore or The Lass that Loved a Sailor. Join us for music, romance, and class conflicts May 16-19 at the Wealthy Theatre, located at 1130 Wealthy Street SE. Doors open one half hour before showtime. **All tickets for the Friday matinee performance are $10. or through the Wealthy Theatre box office in person or at 616-459-4788 x131.